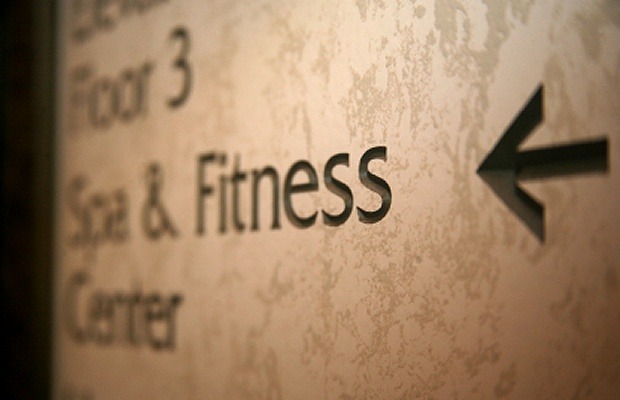 Many people ask us ... is it better to hire a personal trainer or join a gym or health club? Well, personal training and working out alone in a gym are two very different beasts. One employs a qualified an exercise professional to work with a tailor-made one-to-one personal training programme, whilst the other means using a fitness programme prescribed by a fitness instructor at a local gym - something that can typically be the same for everyone of their clients. Do nothing - not the best course of action to get fit! Workout alone at home / outside - running, a few press ups at home etc. Hiring a personal trainer is a great way to get fit because the idea is that the gym literally comes to you. Personal trainers will bring a series of mobile fitness equipment to your home; from exercise stability balls, Bosu and resistance bands, to free weights and TRX body weight apparatus. A good personal trainer will have everything you need to make a substancial impact both on your fitness as well as your appearance. Also, by hiring a personal trainer you will have the luxury of working out with a 'master of fitness' in your own home. A qualified personal trainer is someone who will improve the way you exercise to give you the best impact possible on achieving your goal, whether this is increasing muscle mass, losing weight or generally feeling better about yourself. A good personal trainer will also vary your workouts each session, meaning that your body (and mind) will be stimulated differently during each workout. This means that one workout might concentrate solely on the core, whislt the next might be a short sharp interval session to test and improve your cardiovascular fitness. This is a great way to keep improving and starve off the boredom that can set in if you workout the same during each session. There are many benefits of joining a local gym or health club, not least the fact that you'll have your pick of many different exercise machines and methods of workouts to choose from. We suggested that a mobile personal trainer can bring exercise equipment to your front door, allowing you to workout at home. But, of course, even the best mobile personal trainer will not be able to offer you the chance to workout using free weights, a treadmill, stationary bike, rowing machine or swimming pool in any one session. There is no denying that if one was to use a personal trainer in the same way one can use a gym (i.e. going 3 to 4 times a week), the cost of a personal trainer would be very expensive. Most personal trainers cost between £20 - £40 per hour, per session, whereas a gym or health club membership typically costs £50 a month, with unlimited usage within that month. That said, exercising with a personal trainer even once a week is a good idea because they can make relevant suggestions about what to do on the days you don't see them. This might include intervals runs outside, a long bike ride, or even joing a gym to use some resistance equipment in order to improve lean muscle tissue. In terms of exercise equipment and cost, a gym wins hands down. However, many people who work out at gyms do not perform exercises correctly, nor to they workout at the correct intensity or even use the correct equipment to reach their desired goal. In many occasions this means that reaching one's goal at all is nigh on impossible. With that in mind, perhaps, the best course of action for someone looking to get as fitness as possible in the shortest time possible is to join a gym (or to participate in outdoor bootcamp-style exercise sessions) to exercise two to three times a week and also employ a personal trainer for at least one day a week in order to give you ideas about what do do on the days you don't engage in personal training.